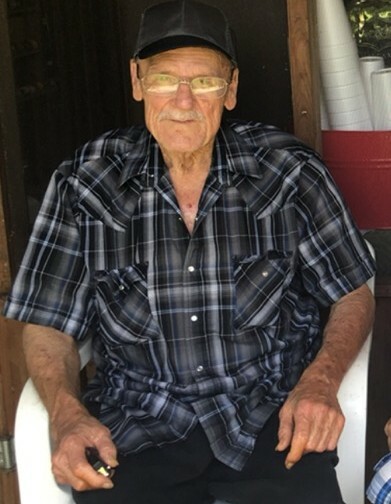 Mr. William “Ed” McLeod, 77, of Leakesville, passed from this life on Tuesday, April 9, 2019 at Forrest General Hospital. He retired as a driller from the oil fields and then served 19 years for the Greene County Sheriff’s office. He loved the outdoors and loved to fish. He loved his family and will be greatly missed. Mr. McLeod was preceded in death by his parents, William and Alice McLeod; sister, Sarrah Jane McLeod; and brother, Robert Carl McLeod. Those left to cherish his memory are his wife, Betty Lou McLeod; children, Michael McLeod (Cathy), Lisa Harrison, Andy McLeod (Terressa), Danny Edward Pierce, Gwenda Faye Parker (Joby); brother, David Wane McLeod (Brenda); sister, Faye Vickers Nelson (Donald); 12 grandchildren, 3 great-grandchildren; and a host of nieces, nephews and friends. A Graveside Service will be Friday, April 12, 2019, at 11 am in the Sand Hill Baptist Cemetery. In lieu of flowers the family requests that donations be made to Betty Lou McLeod in honor of Mr. William McLeod’s memory. Online condolences can be given at www.freemanleakesville.com. Freeman Funeral Home – Leakesville is in charge of the arrangements.